Who knows. 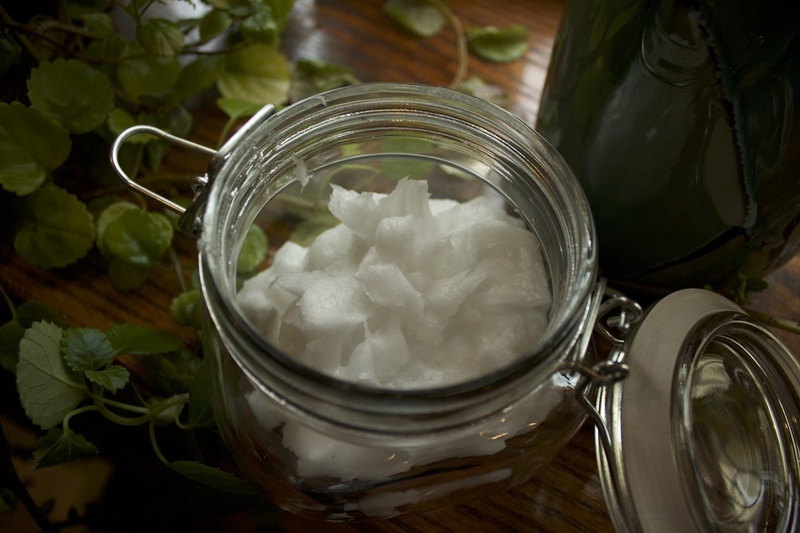 Maybe if I hadn't spewed that horrible hacking cough all over everyone's peaceful savasana, I would never have chatted with Carrie Bacon--local acupuncturist/herbalist/massage therapist/Ayurvedic rockstar--or learned about her tasty cold remedy. If that's the case, I say so be it. Once again, my body has captured my attention by aching and being kind of gross. But fall's a pretty good time to get cozy with a little self-care and attention. And the stillness that this illness imposes is full of more than sniffling, I think... stay tuned for the new insights and adventures that are brewing. For now, here's something to steep on your stovetop. Thanks to Melissa at Seva for her sassy vinyasa and for starting the conversation, and to Carrie for the directions and fun facts. 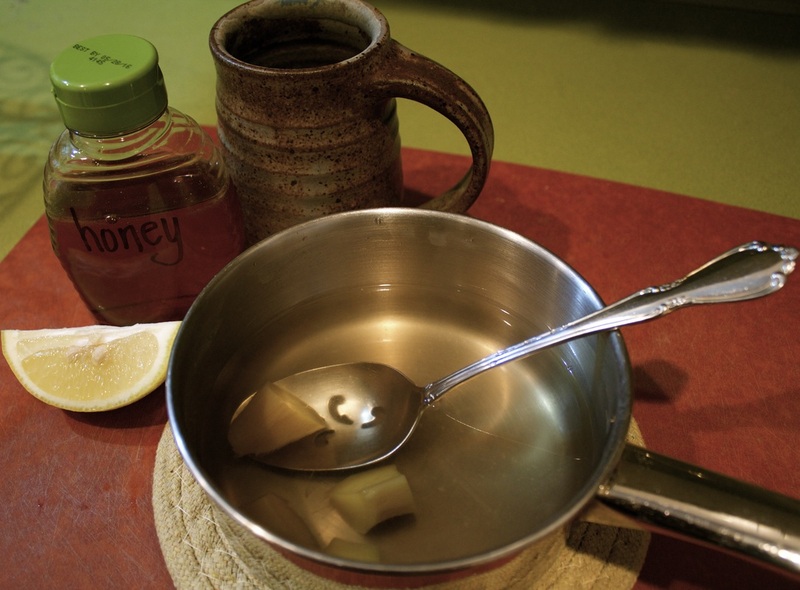 After class, I fixed myself a mug of this magical elixir (per the best version of Carrie's instructions that I could recall with my brain half-full of snot). It was so warm, soothing and delicious I had to share! Cheers to fall! 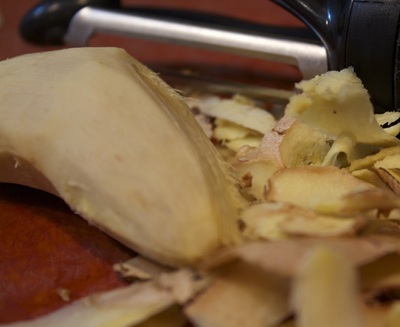 Peel the ginger and place it in a pot of boiling water. I used a chunk of ginger about 3"x1" for a large mug. Use more or less to taste. Steep for a bit. 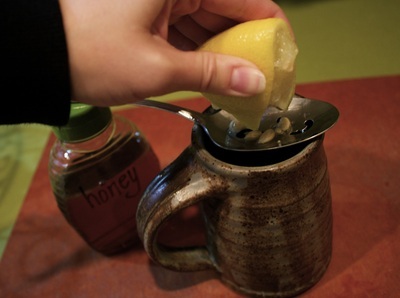 Add honey and lemon, and cayenne if you're feeling as sassy as Melissa's inversion vinyasa. Helpful Carrie hint: don't add the lemon to boiling water. 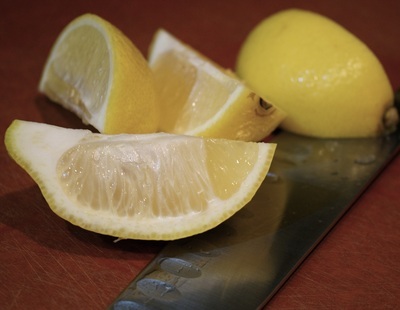 The high heat will neutralize the pH alkaline-forming properties of lemon. If you've misplaced your high school chemistry section of brain cells like I have, here's what google taught me about that: our bodies function best in a neutral pH state--leaning toward alkaline, not acidic. When our bodies tend toward acidic pH, we use up reserves of good stuff like vitamins and minerals, and disease feels more at home. Lemons, though acidic, fall into the alkaline-forming category, meaning they become alkaline after they're ingested and digested, promoting a healthy, disease-stifling pH environment in the body. Some more fun facts: Ginger has been shown to have anti-inflammatory properties, and honey is naturally antibacterial and antimicrobial. And all of it tastes great and smells delicious! Good stuff! PS--I experimentally stored my boiled ginger root in the fridge overnight. I pulled it out again today before class, hoping to avoid some savasana-coughing, cut it into pieces, boiled it, steeped it, strained it and added lemon and honey. I still managed to hack up a lung during savasana, but the tea was just as potent and delicious as the first go-round! I got this recipe from the girl who cut my hair when I lived in Ann Arbor. I wish I could remember her name to give her credit for these tasty protein bars. 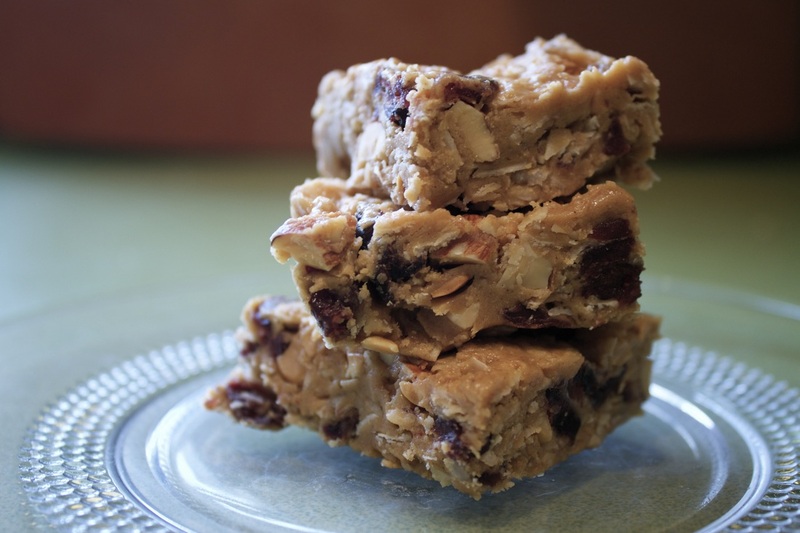 They're easy to make, easy to pack and they taste as good as cookies! 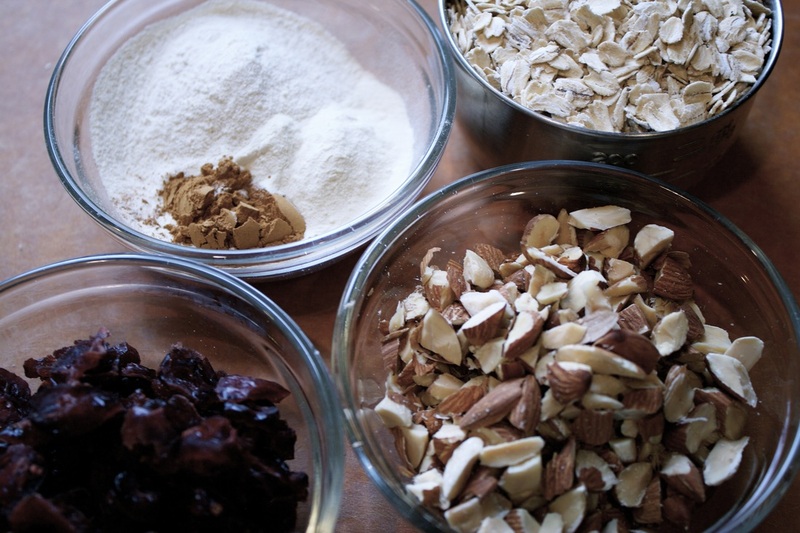 You can substitute any nut for the almonds and any dried fruit for the cherries to mix it up. Sometimes I add ground ginger in addition to the cinnamon and candied ginger instead of or in addition to the dried fruit for a little kick. Yum! Chop the nuts if they're whole and the dry fruit if the pieces are larger than you like. 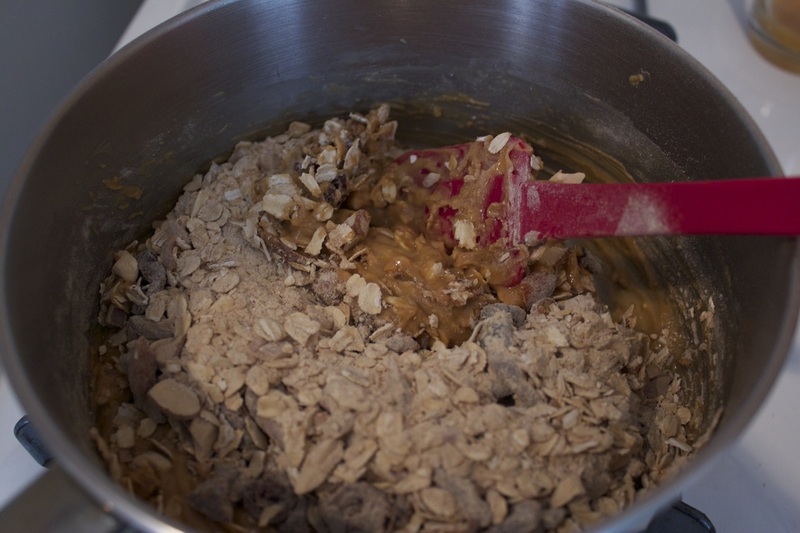 Combine oats, nuts, fruit, protein powder and spice(s) in a bowl. 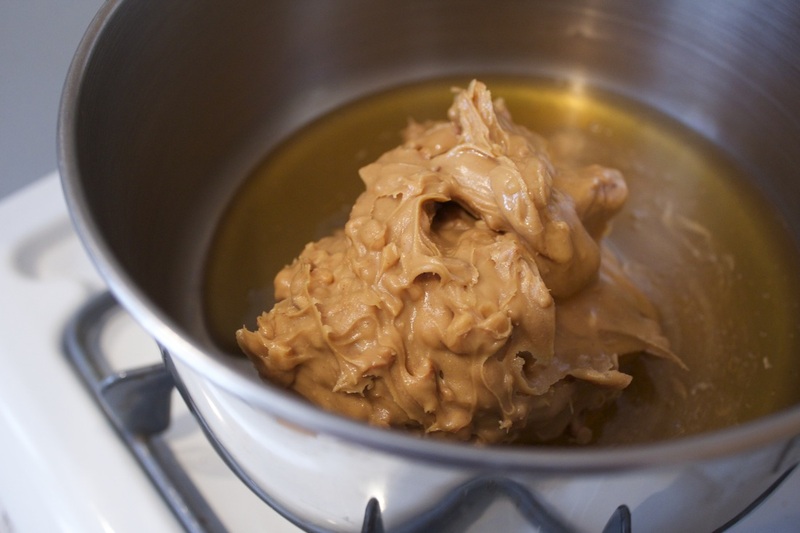 Heat peanut butter and honey in a medium saucepan until runny. 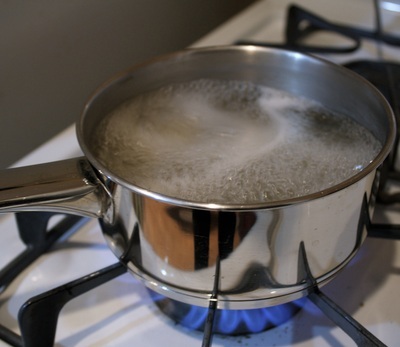 Add dry ingredients to saucepan a little at a time and stir until mixed. 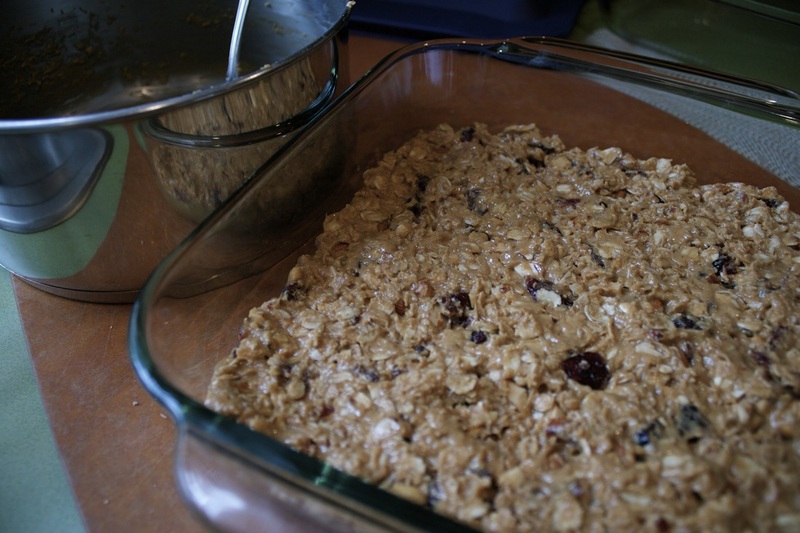 Spoon mixture into 9 x 9 pan and cool in the fridge for about an hour. Cut into bars. Store in fridge. Enjoy! Unroll each crescent roll and slice in half lengthwise. Beat together the cream cheese, canned pumpkin, pumpkin pie spice and sugar until fluffy. Spread about 1 - 1 1/2 teaspoons of filling over each crescent roll. Roll up, starting with the wider end. Stir together the additional sugar and pumpkin pie spice. 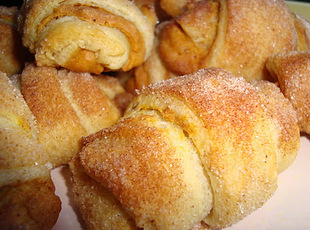 Roll each mini pumpkin pie croissant in the sugar/spice mixture and place on baking sheet. Bake at *375 for 13-15 minutes until lightly browned and baked through. The muffins that made me cry. 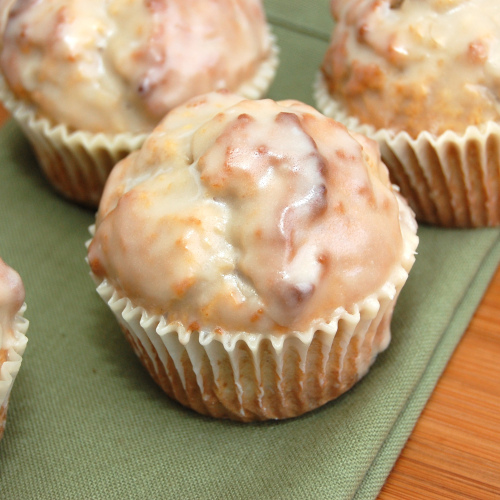 I found this recipe for Glazed Donut Muffins on the super cute blog Sweet Pea's Kitchen (check it out--bazillions of tasty recipes!). It wasn't actually the muffins that made me cry on Day 19 of the blog, but they could have--they're that good. Instead of dipping the muffins into the glaze, I glopped it on with a silicone brush, which worked just fine. Line 12 muffin cups with muffin liners or spray with nonstick cooking spray. 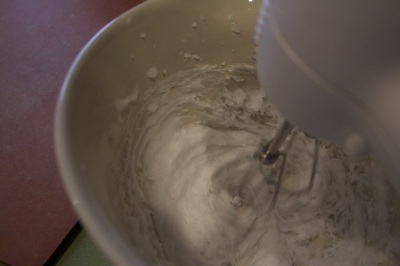 In the bowl of a stand mixer fitted with the paddle attachment, beat together butter, vegetable oil, vanilla and sugars till smooth. Beat in eggs, one at a time. In a separate bowl, combine baking powder, baking soda, nutmeg, cinnamon, salt. 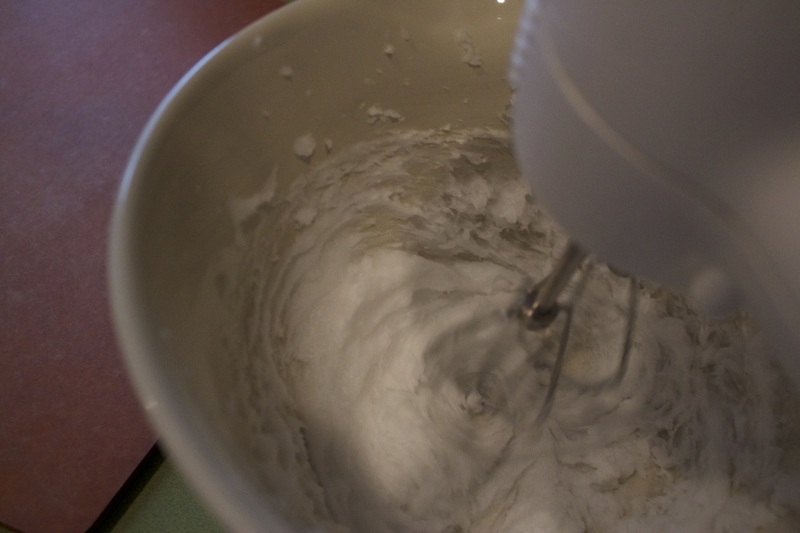 With the mixer on low speed, stir the flour into the butter mixture alternately with the milk, beginning and ending with the flour and mixing until just combined. Do not overmix! Spoon batter into cups, filling the cups, and smooth tops. Divide batter equally among prepared muffin cups. 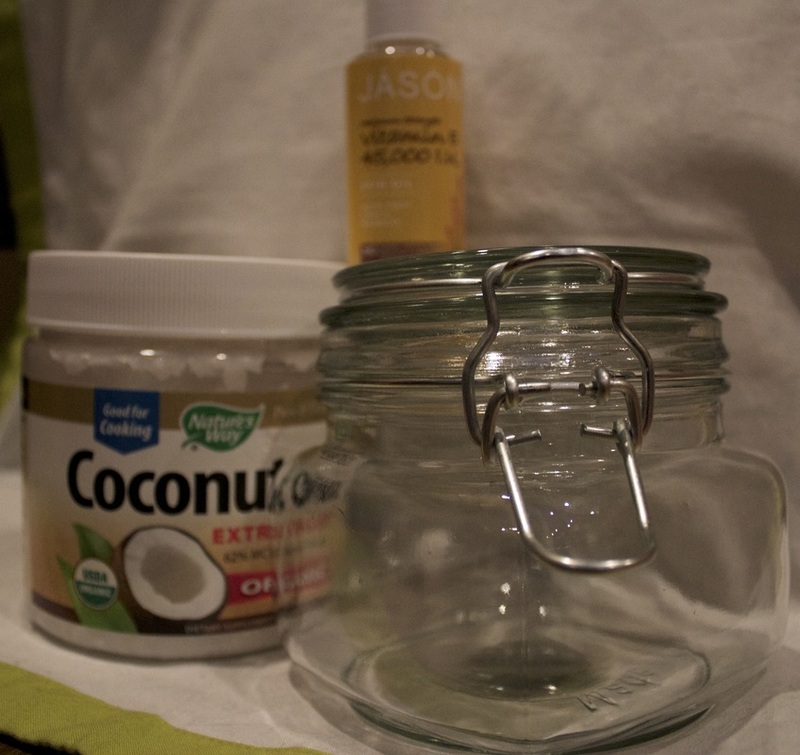 Bake until muffin tops are a pale golden and springy to the touch, 15 to 17 minutes. Cool muffins in muffin tin for 5 minutes, then transfer to wire rack and cool 10 minutes before glazing. 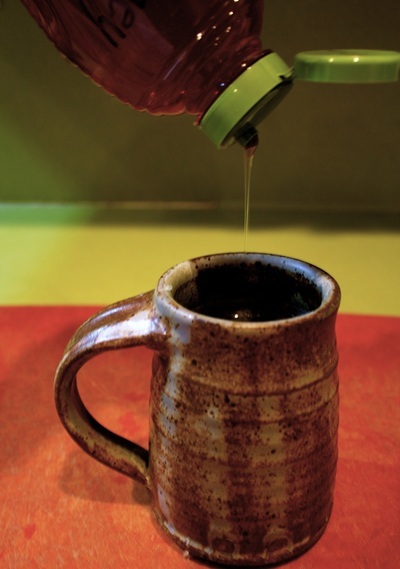 To make the glaze, In a medium bowl mix together the melted butter, confectioners’ sugar, vanilla and water. Whisk until smooth. Recipe Note: Muffins will keep at room temperature for about a day.